I peered through a broken window in the once spectacular public museum. They were coming. 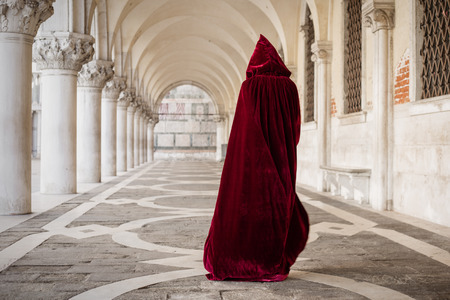 Hooded cloaks and greatcoats hiding their identity as they walked along what had once been the portico to one of the most amazing libraries in the entirety of North America. It was hard to believe that only three years ago this had been building had been full of life–full of students, professors, families, even tourists. Now, it was a shell. The books that hadn’t been destroyed by the oppressors for containing “treasonous content” had since been used by the homeless as kindling. And we were all homeless, now. Well, more of us than not. There was nothing left for us anymore. No jobs. No way to pay back our mountains of student loans for degrees we’d never use. We were all surviving as best we could. In the basement of the library, searching for the blueprints for the subways and sewers, I found something else–something that had become our last hope. Shoved out of sight, under a desk in the staff area of the special collections room was a wooden packing crate. I pried it open with the tire iron I never let out of my sight. After society had crumbled, I’d learned the hard way that I could never let my guard down. Not any more. Inside the crate was a single book–large, ornate, and very, very old. Not having read anything but the propaganda pamphlets the oppressors bothered to drop on us every few months, I couldn’t bear to burn the book. I shoved it inside my backpack and dragged the crate upstairs to burn. Keeping clear of the oppressor’s foot soldiers and those who’d turn me in for a day’s worth of food rations, I read the book. It was nonsensical–a spellbook–but that didn’t matter. The symbols on the page became words and the words became images in my head. And the images birthed thoughts I hadn’t dared think in far too long. Thoughts about fighting back. Thoughts of resistance. They were so powerful, that were so intense, they hammered on the inside of my skull. They clawed at my graymatter. They slipped into my dreams until I woke, gasping for breath and my heart in my throat, repeating words I hadn’t realized I’d memorized. Repeating the Spell of Gathering. Swallowing thickly, I pressed the book into her hands, not wanting to relinquish the words I’d come to depend on, but knowing I must. I nodded then turned to lead the way to the access stairs in the rear of the building. The woman in red followed me and her companions fell into step behind her. We climbed in near-silence, the rustling of fabric and the shuffling of feet the only sounds. In the darkness, I felt something that felt a lot like hope. It was a hope I was afraid to examine too closely. Afterall, if the book was to be believed, I’d just summoned an army of witches to fight the greatest evil ever known–an utterly corrupt government led by an egomaniacal despot and his collection of pet monsters. As I led the witches out into the moonlight, the woman with the book smiled grimly at me and took my hand. That tentative feeling of hope grew a little bit stronger. Okay, that’s it for me today. Be sure to check out the other bloggers stories, too. Deelylah, Jess, Kayleigh, and Kris. Is that what it’s going to take? I’ll start searching for a spell book for you 🙂 great story. Seriously! Find me that book!!! ← Do You Want Exclusive Free Reads?